We provide preventative maintenance since 2012, for 30 council buildings, including the Footscray Town Hall, Footscray Library, numerous Community Centres, Kindergartens, Children Centres, and Recreational Centres, to mention a few. > Preventative Maintenance on a monthly and quarterly basis. > Service and repairs, 24/7 breakdown service. > Design & construct Air Conditioning for new and replacement. > Essential services & online reporting. > Kitchen exhaust canopy maintenance. 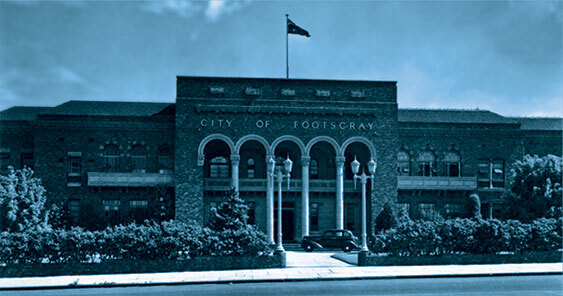 No heating in administration at the Footscray Town Hall. Our technicians responded to a breakdown callout within one hour and found a component in a 20-year-old rooftop package unit had failed. After sourcing a comparative part, CFM retro-fitted the new part to suit the system’s configuration. The work included reclaiming the refrigerant gas from the system, in accordance with ARCTIK and environmental policies, charged the system with new refrigerant gas to it’s correct operating specs.The unit was tested, commissioned and working in good order again. CFM Technicians (Jason and Paul) very happy with their achievement, all in a day’s work and the Footscray Town Hall was very grateful to be warm again.